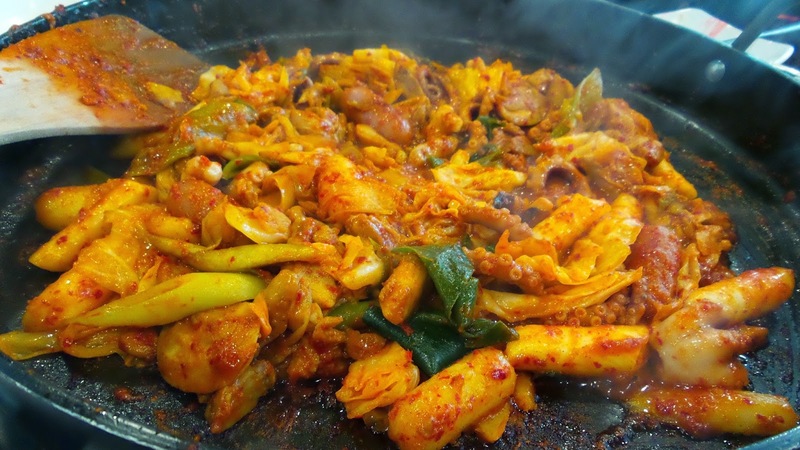 CALLING ALL KOREAN FOOD LOVERS, YOOGANE IS HERE IN SINGAPORE!!! 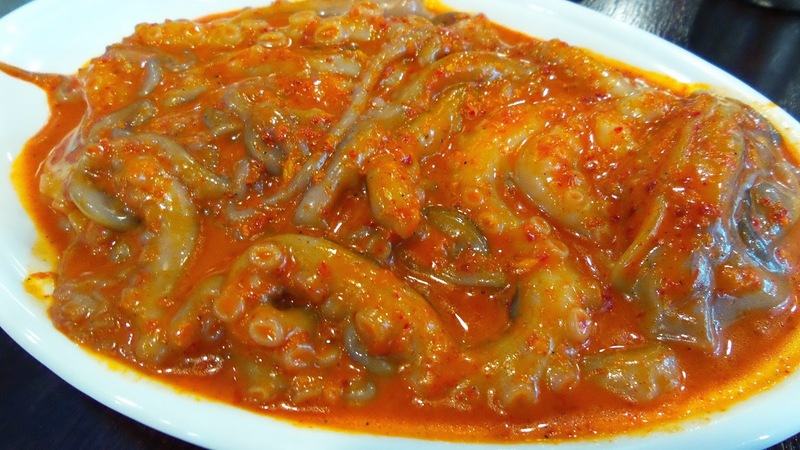 If you have been to South Korea, this is one food that you should never miss out! 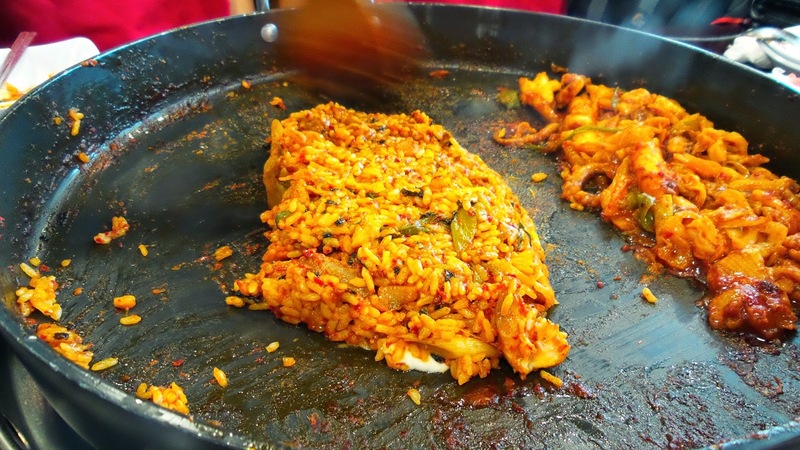 But if you really did miss eating this in S.Korea, here's your chance to try it! With over 100 outlets in Korea, this famous chicken glabi restaurant has finally opened its first outlet at Bugis Junction. When i was in Seoul, i will surely make it a point to visit their 2 restaurants in Myeongdong a few times for my galbi! 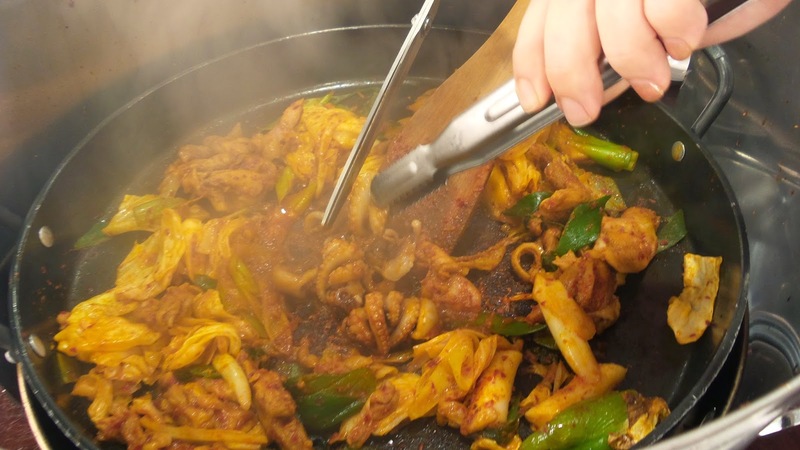 Galbi refers to many ingredients cooked together with meats in a ganjang-based sauce and fry together in a grilled pan. 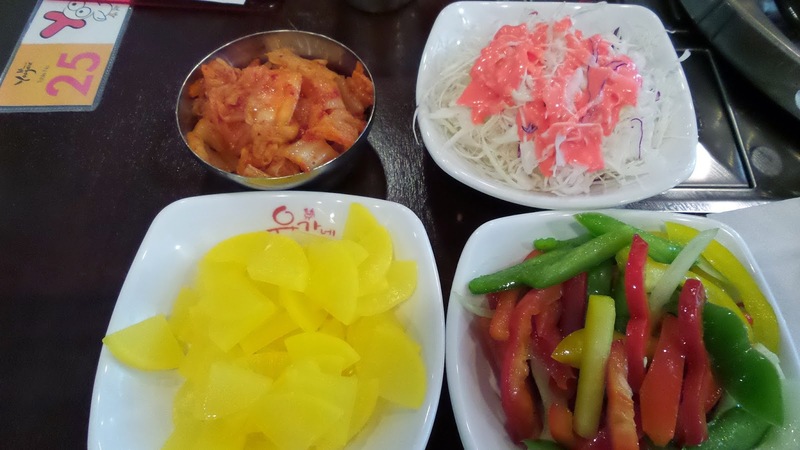 What i love about this restaurant is that the salads, pickles and kimchi is free for all! What is better than helping yourself with bottomless amounts of kimchi to go with your sinful meat BBQ dish? The cheesy galbi fried rice is all ready to be attacked by us. 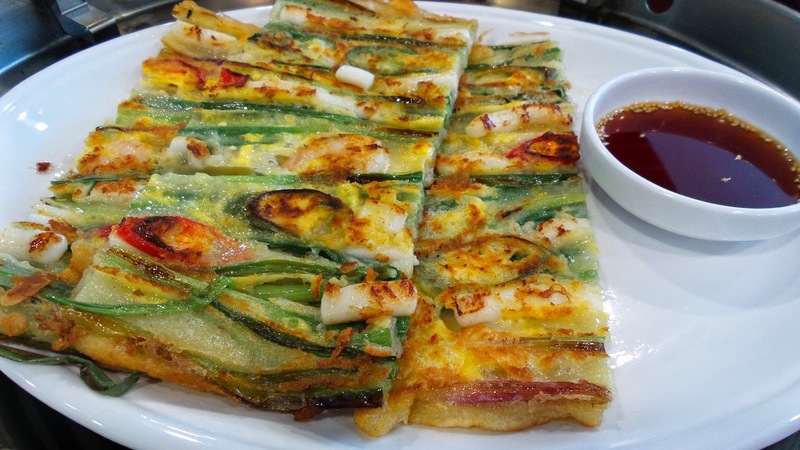 The seafood pancake is by far the best i have tried amongst all the korean restaurants in Singapore. Usually, it is either too much flour and selfish amount of ingredients or the whole thing just tastes like a normal asian pancake anyone with the simplest culinery skills can make. The one at Yoogane will blow you off simply from the slight crispiness of the pancake. Filled with fresh prawns and octopus, one piece will never be enough. We ordered the Marinated Chicken Galbi and Octopus as i thought eating chicken alone will be too boring. 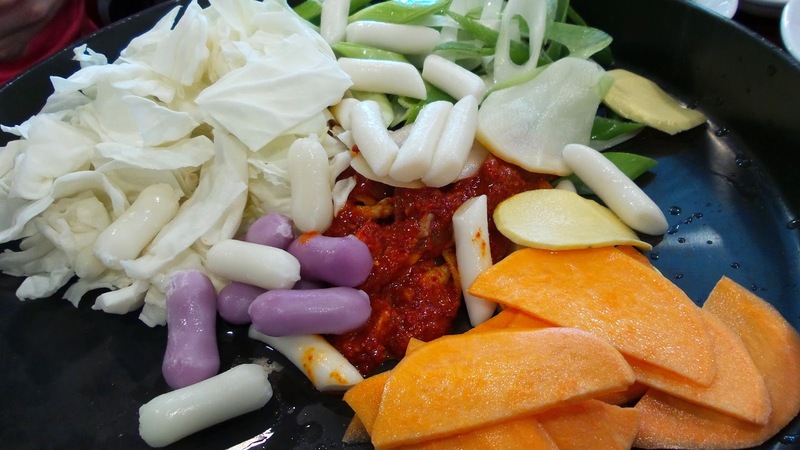 On top of this, we added a mixed combination of mozzarella cheese-filled, sweet potato and plain dokboki to be fried together with our main dish. All turned out really tasty and blends perfectly together. I love how this ganjang-based sauce can churn out miracles to anything and everything, making the most tasteless food delicious. 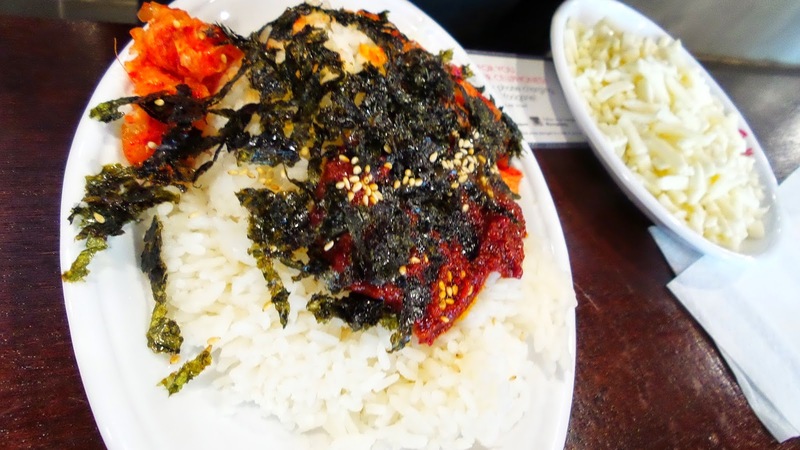 Since i love spicy food, i thought it could do with more spice but because it is meant to be a little sweet and spicy, i would say it really is close to what i ate in Korea. How nice would it be if it was winter here and we can all feel the warmth by digging into this galbi..
Service here resembles a fine-dining restaurant. Phone charging services is free and you just have to request for the charger if you require one. 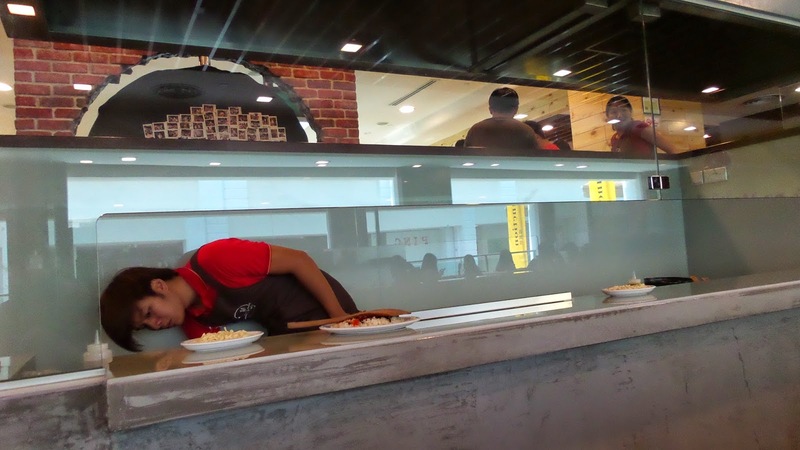 Aprons are given to each diner so unless you want to exit the restaurant having food stains, as much as possible put it on especially when you are cooking the galbi. Try the chukumi octopus which is available only this season! However, I found it a little hard after cooking for too long on the pan. It's a smaller version of the long legged octopus so do not be stunned like I did. Everything cooked in the ganjang sauce can create wonders. Since I do not usually eat seafood, eating at Yoogane makes me feel it will be such a waste not to try whatever seafood items they have in their menu! Perhaps, they can allow reservations or open more outlets. Queues can get out of hand if you are there on a weekend or meal times so be early. 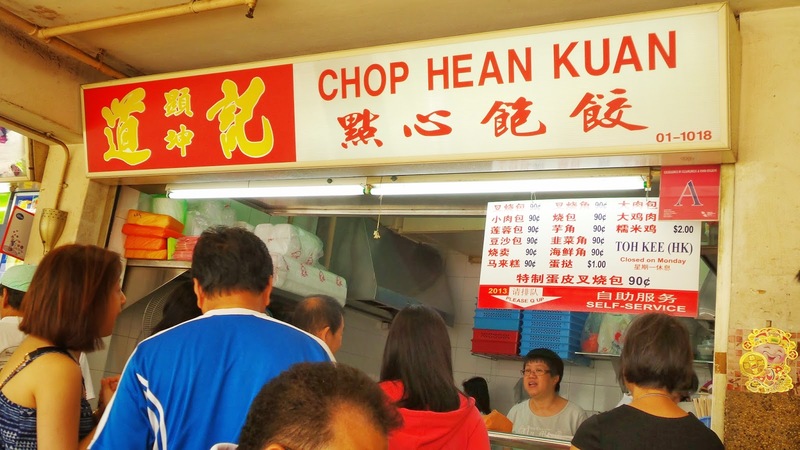 It is quite expensive because prices on the menu is only for one person's portion and minimally, you have to get at least for 2. Be prepared to pay a hefty sum so try not to compare with the prices in S.Korea itself, you will be shocked. To answer danielfooddiary, the difference is the price and the range of salad. 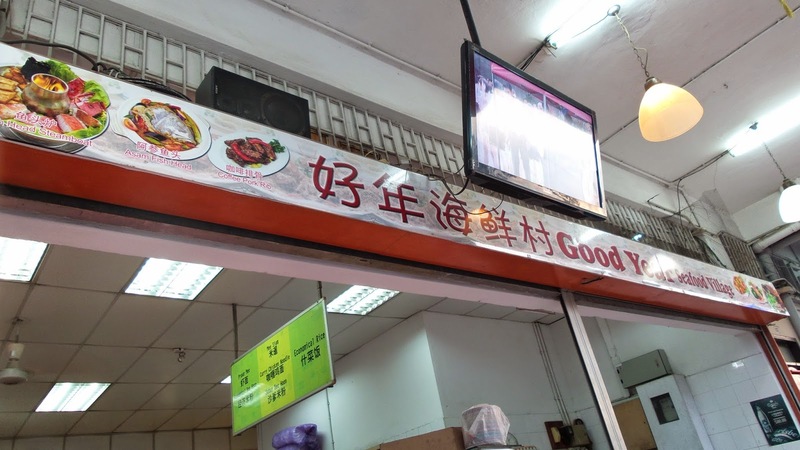 In Korea, it is cheaper by half and the chicken seems juicier and more tender than the Singapore's version. Kimchi in Korea seems to be nicer, or maybe i am just biased :P Definitely worth a try in Korea though! I am going back soon. What are you waiting for!!! !